I want to start out the new year with some good news—I have redone the original Harvard list to show only the foods you CAN have! 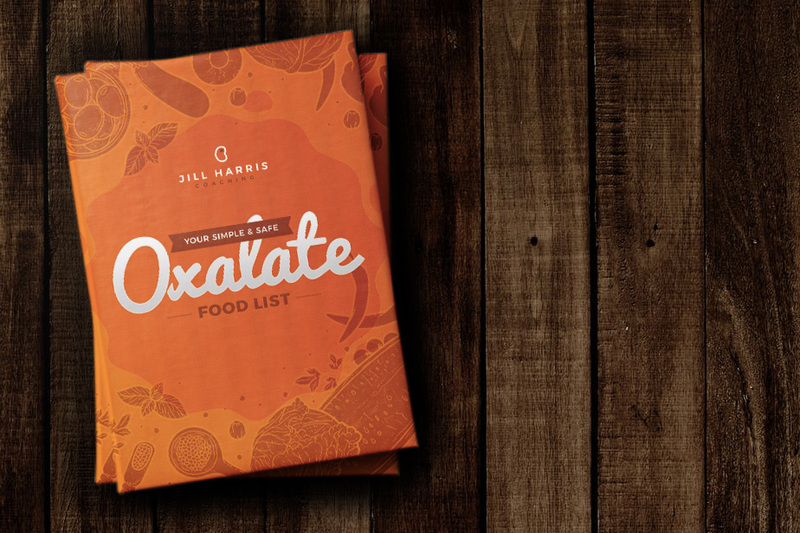 Download your safe oxalate list! There are two things that are different from the original. First, you will no longer see foods categorized as high, moderate or low. Many patients come to me after having stopped eating particular foods based upon the adverbs describing them on the original Harvard list. The fact is, although Harvard describes many of the foods as “high” they are not and can easily be brought back into your daily diet. One of the first things patients complain to me about is, “I have nothing to eat.” This is simply not true and I am on a quest to bring back healthy foods for you. Second, you will find that I have taken all oxalate foods that are over 45 mg/portion off the list. The foods on this list are foods you CAN have. Sometimes in life, it is easier and much more fun to focus on what we can have, rather than what we cannot. This is a tool to be used along with your original Harvard list. And remember, you may have to refer back to the original list so that you can refresh your memory on what foods are off limits for you like almonds and spinach! A general rule of thumb—if you are wondering about a food that is NOT on the original Harvard list, please limit that food to once a week and in the recommended portion size on the nutrition label. If it is a fruit or vegetable that has no label (like a pomegranate), have a normal portion of the food once a week to be on the safe side. Remember to eat a calcium-rich food along with your higher oxalate foods as it helps rid excess oxalate from your body and keeps your bones healthy. Pay attention to the number of oxalates in each food portion. If you eat more than that portion on the Safe or Original Harvard list, you will be eating more oxalate. If you eat less of that portion, you will be eating less oxalate. I hope that this new list will focus your attention on reading portion sizes and nutrition information in all the foods you eat. Unless your doctor has told you otherwise, you are allowed 100mg/oxalate per day. Make sure you eat your recommended daily allowance of calcium each day which you can find here. If you need help learning about calcium and how to incorporate more of it into your diet read this article. For more specific information about oxalate, join The Kidney Stone Prevention Course. The course consists of 5 videos of me teaching you all the facets of kidney stone prevention. You have access to these videos for life and can watch at your leisure. The other invaluable piece of the course is you are able to work with an expert in the field (me) on implementing the dietary changes necessary to minimize your new stone risk. The Q & A calls are 5 days a week (one or two of them are night time calls) for 5 weeks so you will have plenty of opportunities to come to ask your questions in a group setting with patients just like you! Make 2019 your healthiest year yet and enjoy your new and improved oxalate list!